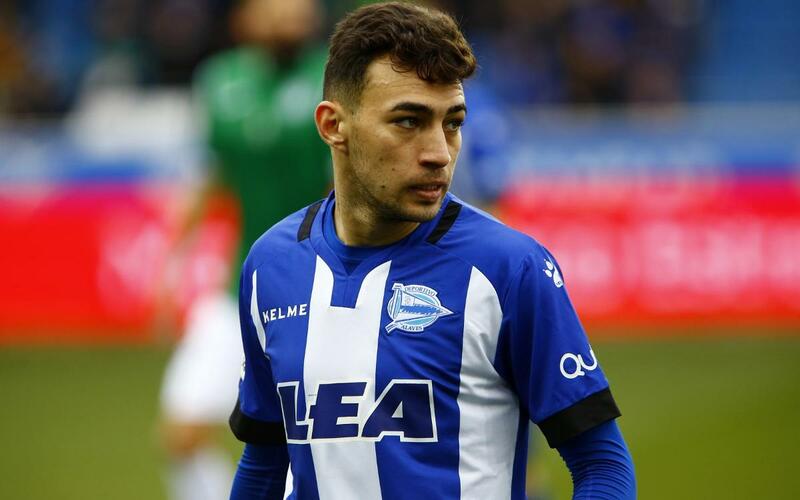 Munir El Hadaddi, who joined the Barça academy at the age of 16 and was a member of the treble winning first team in 2014/15, is set to return to the Camp Nou. But he’ll be doing so wearing the shirt of Alavés, the club where he is spending the current season on loan. It’s a similar situation to the one last year, when the striker born in Madrid to Moroccan parents was at Valencia on another loan deal. He scored against Barça at the Camp Nou and got another two goals at Mestalla. You’re coming back home on Sunday. How are you going to deal with the game? It’s always very special to play against Barça because it’s against former team-mates. I grew up there and won everything with them so it’s evidently very nice to go back to the Camp Nou. How does it feel to be on the Camp Nou pitch wearing a different shirt? I’m sure memories will come back of the day of my debut, the special moments I had here and the adoring fans. All of those memories are very special to me. Alavés sprung a surprise last season and won at the Camp Nou. Do you think you can do it again? Well, we’re on really strong form at the moment. We’ll just try to play as well as we can and see if we can take something positive out of the game. What do you need to do to get a result here? We have to get everything right. Keep it tight at the back, play as a solid unit and be quick on the counter attack. But we know how hard it is to play against Barça. What do Barça and Messi look like from afar? Barça are always spectacular. They’re playing incredible football and are a very hard team to beat. I wish them all the luck in the world. As for Messi, he’s better than any other player. There’s nobody like him and there never will be. He’s unique. There nothing that compares with him and he’s impossible to stop. Abelardo is manager now after a difficult start to the season under two different managers, Zubeldía and De Biasi. Does Abelardo’s Barça past show? Yes, of course it does. He wants us to be organised, to control the possession and to be attack-minded. The team is buzzing. We had a great game against Valencia in the cup and were unlucky to lose the shootout. We know we have to keep this form going and if we work hard, I think we should be able to avoid relegation.